Happisburgh is a historic village on the north-east coast of Norfolk. Pronounced “Haze-bruh”, and spelt ‘Hapesburg’ in the Domesday Book, the name means ‘Haep’s Town’. Despite much publicity about Happisburgh and coastal erosion, the village has an exciting long term future. Visit the oldest working light on the Norfolk Coast and the only independently operated lighthouse in the UK. 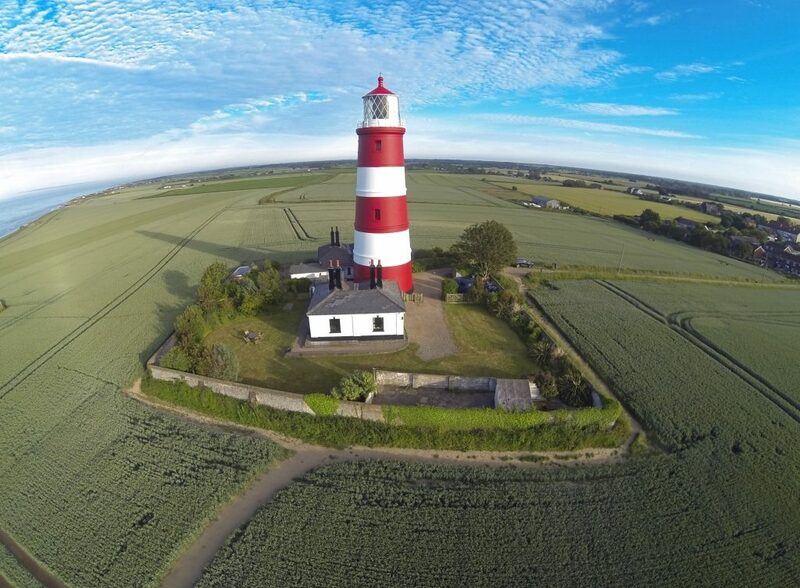 Thanks to the North Norfolk Pathfinder Project, Happisburgh has an award winning Car Park with toilets, access to the lighthouse and village and to the beach via an earth ramp. Happisburgh Lighthouse is the oldest working light in East Anglia, and the only independently run lighthouse in Great Britain. Built in 1790, orginally one of a pair – the tower is 85ft tall and the lantern is 134ft above sea level. The ‘low light’ which was discontinued in 1883 was 20ft lower and the pair formed leading lights marking safe passage around the southern end of the treacherous Haisborough Sands. Today the lighthouse is painted white with three red bands, and has a light charcteristic of Fl (3) W 30s (3 white flashes, repeated every 30secs) with a range of 18 miles. The Coastal Concern Action Group was formed in 1998 to fight for renewal of Happisburgh’s failing sea defences. 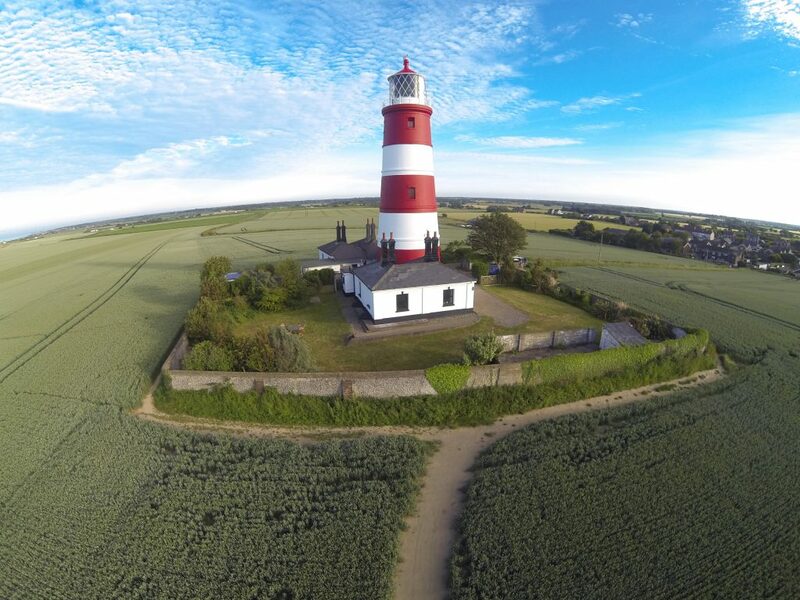 Since then problems experienced by Happisburgh are being experienced at more and more locations around this country. CCAG gained national and international recognition for its work campaigning for proper coastal governance and social justice. It has been contacted by communities from as far afield as Cleveland and Yorkshire in the north to Kent and Hampshire along the south coast. As part of a £3 million funded Coastal Change Pathfinder Programme. 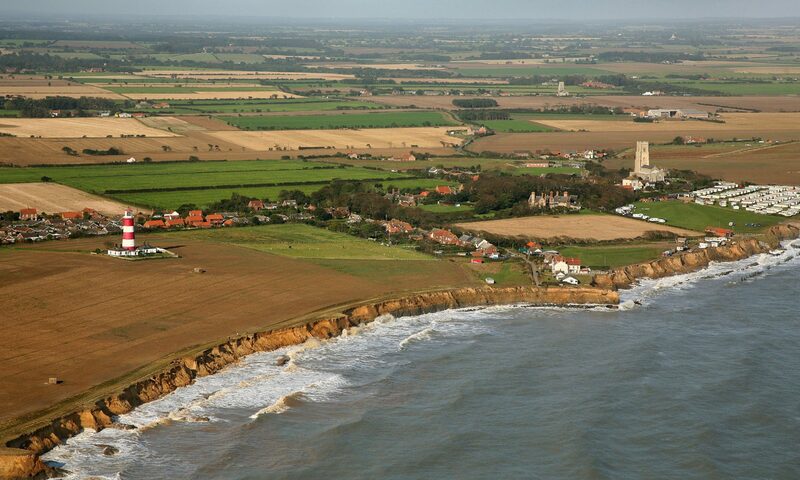 between 2010 and 2012 North Norfolk District Council carried out several projects at Happisburgh to help community adapts to the impacts of coastal erosion. Read about the background to the current situation; How did we get where we are today? What is the history of erosion and defences at Happisburgh? Local historian Mary Trett summarises.